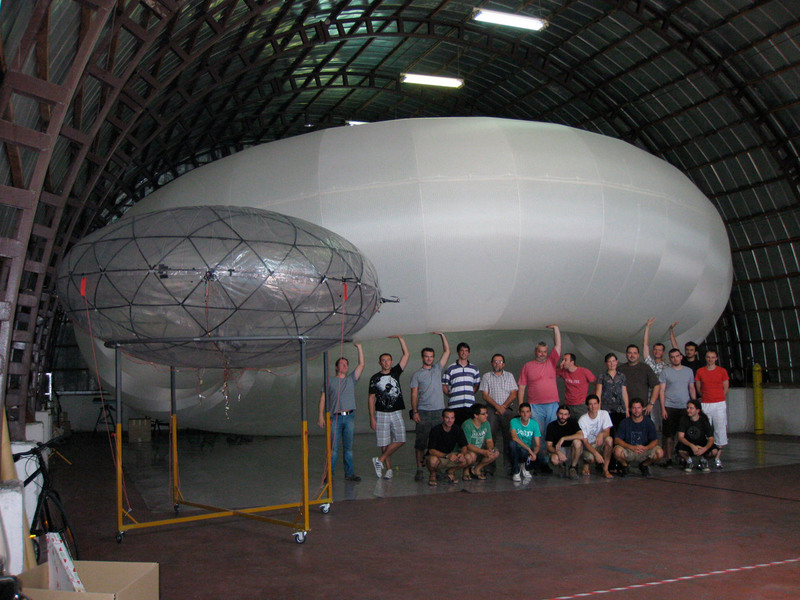 A part of the HiperSfera team below a buoyant gas cell for the TERA-class developmental prototype airship. Left front is the HiperSfera’s 1st Scale Model, Stribor, by far the smallest rigid airship in the world. HiperSfera d.o.o., Ilica 36, 10 000 Zagreb, VAT HR88714170137, registered with Commercial court in Zagreb under number 080583098, equity of 2.805.000,00 kn has been paid in full. Bank account HR8923600001101925073 at Zagrebačka banka d.d. in Zagreb. Member of the Board: Bojan Pečnik.